Brought together for the inaugural Blue Mountains Elvis Festival, the Legends TCB Band features 4 outstanding musicians, each a hugely entertaining performer in his own right. Dave Hart, affectionately known as the “Silver Fox” amongst the 50’s and 60’s Rock and Roll Fraternity, proudly admits to an enduring career which commenced in the late 1950’s with original foundation Sydney Bands, the Heartbeats, Cannonballs and the Serpents (with rockabilly legend Ian B McLeod aka Adam as lead vocal) but his first real taste of fame was a tour of Victoria and South Australia with the legendary Ray Hoff and the Offbeats in 1960 which ignited in Dave the passion for playing initially rock’n’roll piano (Jerry Lee Lewis style) throughout the 60’s but which has developed over the years into a classic keyboard style emulating the sound and feel of the different eras. Dave considers himself extremely fortunate to have experienced first-hand the birth of rock and roll and the growth of the music industry in Australia and truly blessed with the opportunity to play and enjoy the developing music of the 50’s, 60’s, 70’s, 80’s and 90’s. During his career Dave has performed as a keyboard/vocalist in the Midnighters (Central West NSW), Zods (North West NSW), Sidetrack, Blast from the Past, Tezza and the Twistops, the Shakers and 57 Heaven Dance Bands and has musically directed tribute shows, the Elvis Experience, Elvis and Friends, Heroes from Heaven and the 70’s Love Generation. Now in the twilight of his career, the “Silver Fox” still loves to perform and reproduce that original sound that he heard for the first time many years ago. At the age of 18, Garry began working in his very first professional band, ‘Midnight Express’, playing most of the local clubs in the Sydney area. From this point on, Garry studied extensively and as a result has been sought after as a highly accomplished drummer for both live and studio work. Performing and recording in such acts ‘China Doll’, ‘Shaylee Wilde’, ‘Cruise Control’, ‘Snake Oil’, ‘Cocker Down Under’, ‘The East Coast Horns’, ‘Red Corvette’, ‘Phil Knight & The Blue Sirs’, ‘Frankie 4 All Seasons’, just to name a few, and now, ‘Oz Rock Revival’ and ‘The Celtic Gypsies’, where he now includes vocals among his many talents. 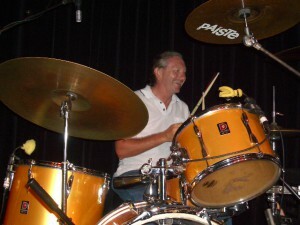 Garry also hosted & played at the Empire Hotel’s Wednesday night jam for 7 years as the resident house drummer. Garry brings to the Blue Mountains Elvis Festival TCB Band, a passionate & professional career that spans 40 years to date. 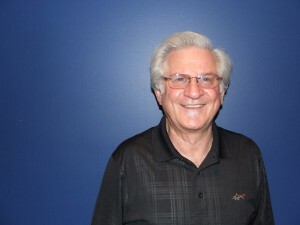 He is renowned in the industry as the engine room & heart and soul of the bands in which he has performed. 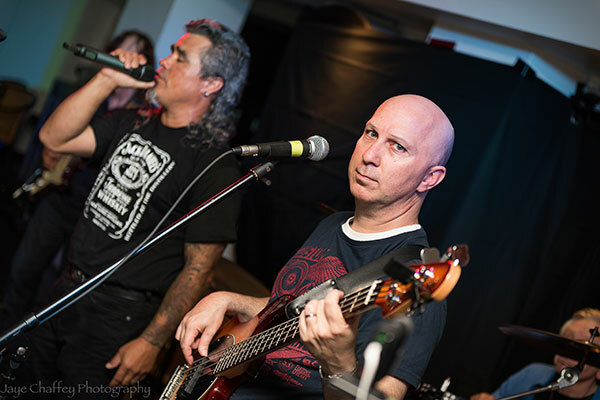 Danny has 20+ years experience playing in the Sydney music scene playing many different genres of music, from blues to soul, pop to rock, Elvis to Irish Folk music. Having played in bands such as The Australian Blues Bros Show, After Party Band, One Hit Wonders, Hits & Pieces, and also plays in Oz Rock Revival. He has also done regular gigs with acts such as Panorama, Partyvibe and Blues Bros Rebooted.